Two years ago I visited twice the area around Lake Garda. I have been in the northern part in May and in the southern part in October. I live along the Adriatic coast and I’m used to the infinity of the sea. A lake is something limited compared to the sea, something smaller than a sea. But when you are in front of it, then you can understand that you are completely wrong. Driving along it, the lake coast seems to never end. Notice that is not the only one lake in Italy. There are several lakes scattered throughout the country. 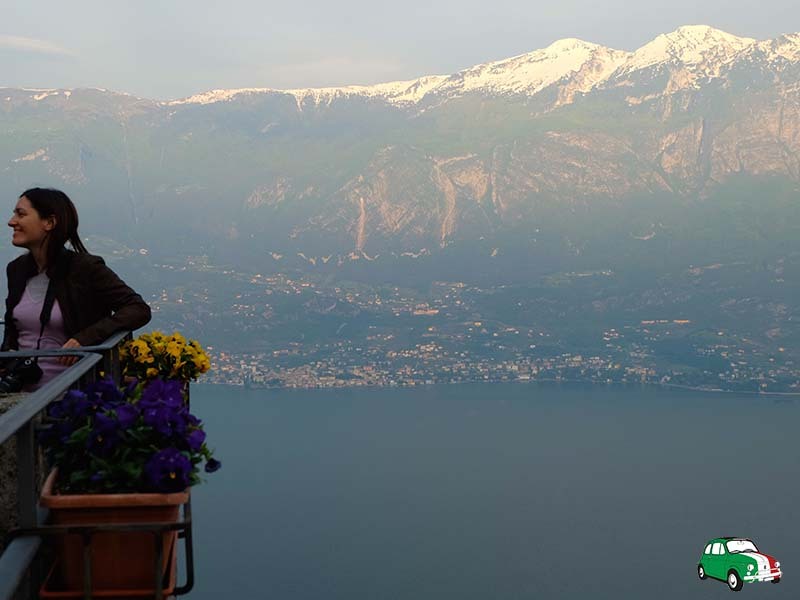 Como Lake, Iseo Lake and Maggiore Lake are just three of them. 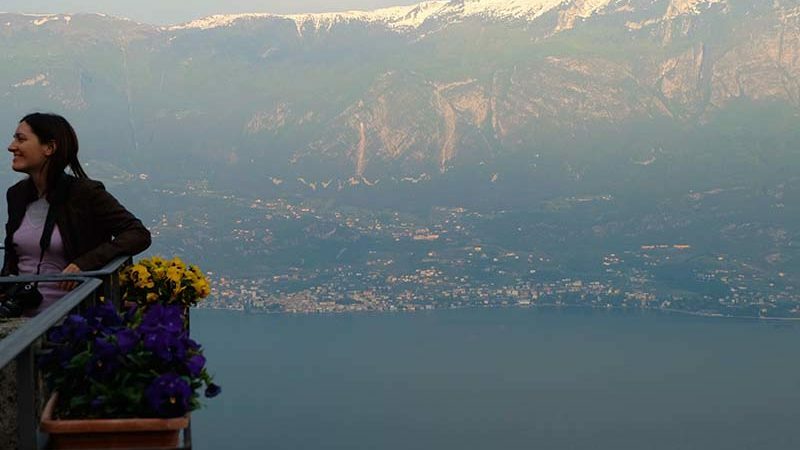 Lake Garda’s eastern side is part of Veneto region. Not far from it you can get to Verona and Vicenza. Verona is world-famous for the story of ‘Romeo and Juliet’ written by Shakespeare. Vicenza is worth a visit for its Venetian Villas. 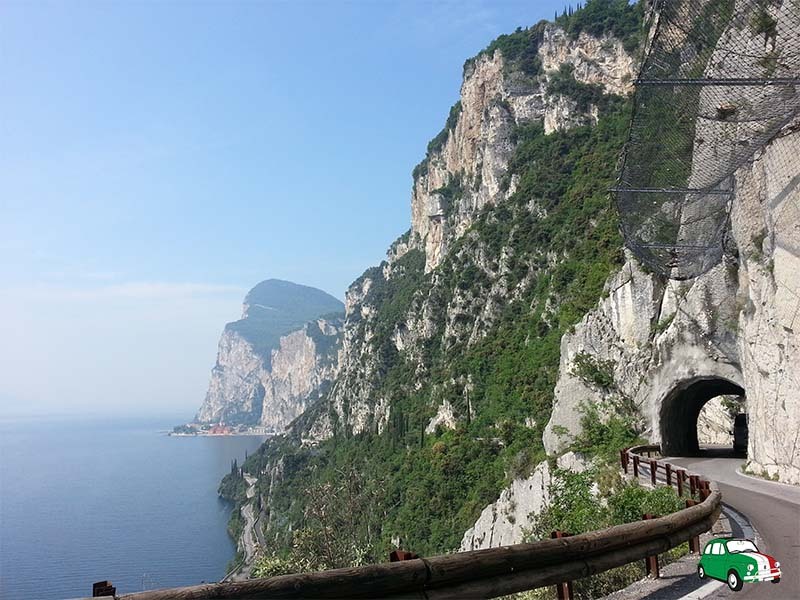 Now let’s see the 5 must do things of the eastern side of Lake Garda. What are the ‘love knots’? Tortellini. 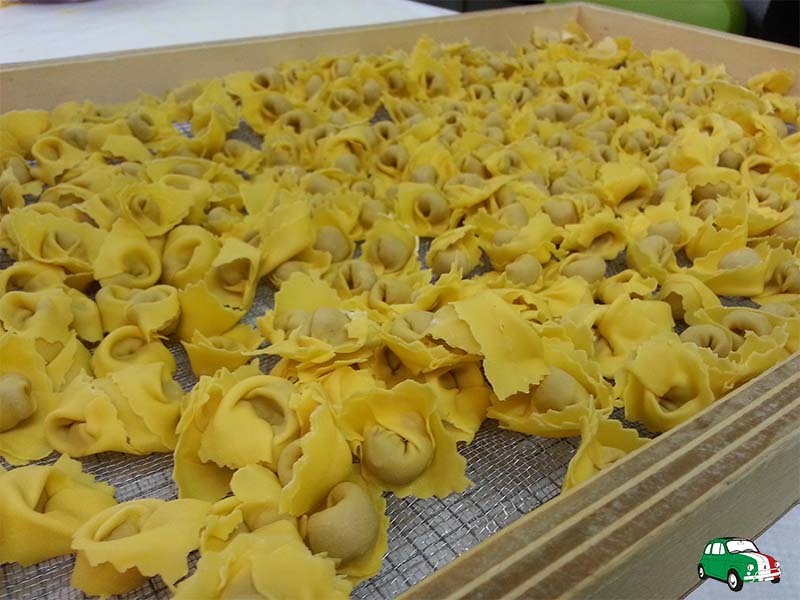 Yes, tortellini are typical of a wide area between the Romagna and Veneto, but they are prepared, stuffed and cooked in many different ways so that we have different kinds of tortellini. Why the tortellino of Valeggio sul Mincio is so special? Because a legend stands behind it. The so called ‘love knot’ (nodo d’amore) is the knot of two lovers, a soldier and a nymph. Click here to read the legend. 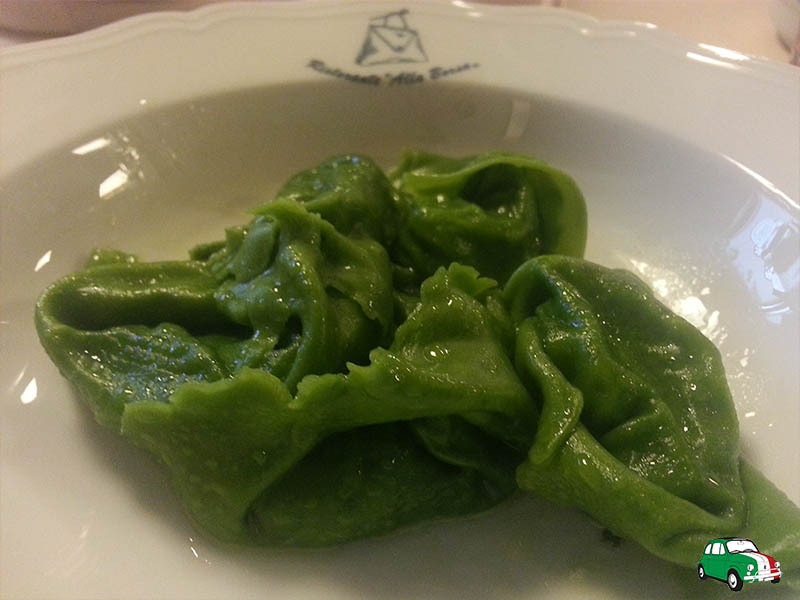 If you would like to eat them, reserve a table at the restaurant Alla Borsa in Valeggio. If you would like to bring them as a souvenir go to Pastificio Re del Tortellino. Have you ever seen ‘Quantum of Solace’ the movie about James Bond? Where is the road of the car chase in the opening scene? Along Lake Garda! The road is called Gardesana and I drove along it. It is very narrow. There is no so much traffic like in the movie and I have seen cars going really slower than those of the car chase. 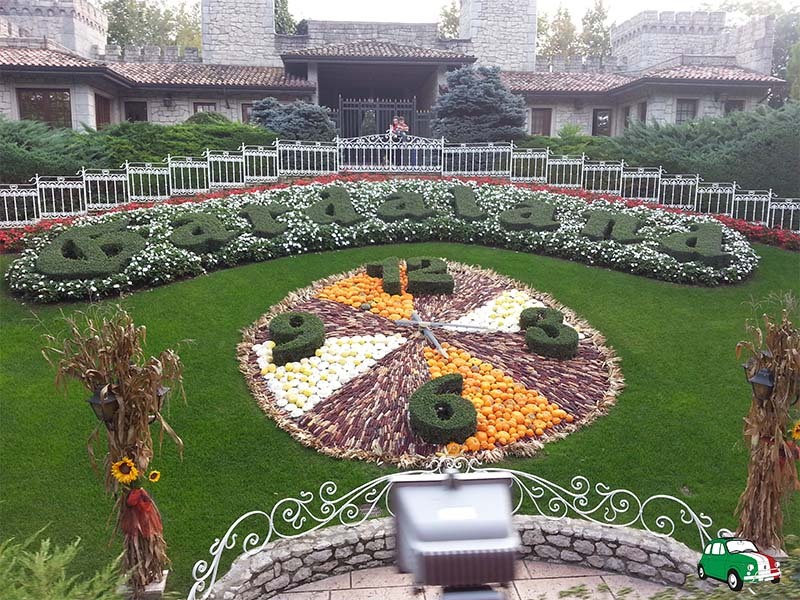 In Castelnuovo del Garda there is the biggest theme park of Italy: Gardaland. 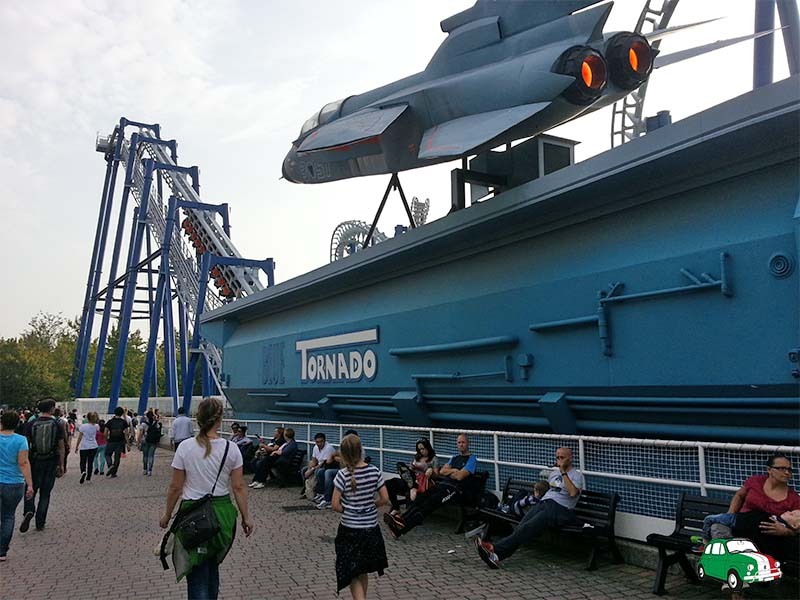 The park was opened in 1975 and it is still one of the most famous Italy’s theme parks. I went there when I was 7 years old and I came back two years ago. It was completely transformed! This park is for both children and adults. In fact children cannot access to all the attractions. The mascot is Prezzemolo, that is ‘parsil’ in English. 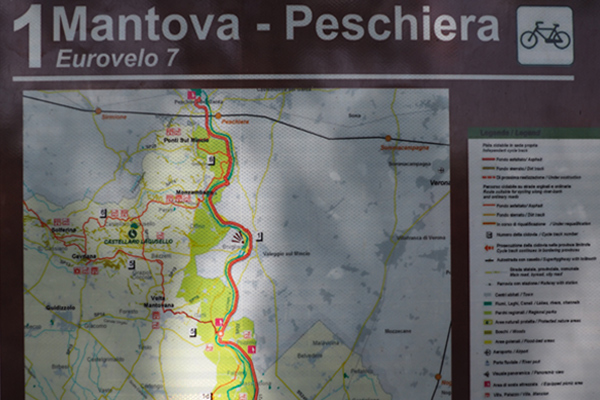 The bike path goes from Peschiera del Garda to Mantua and is 45 km long. 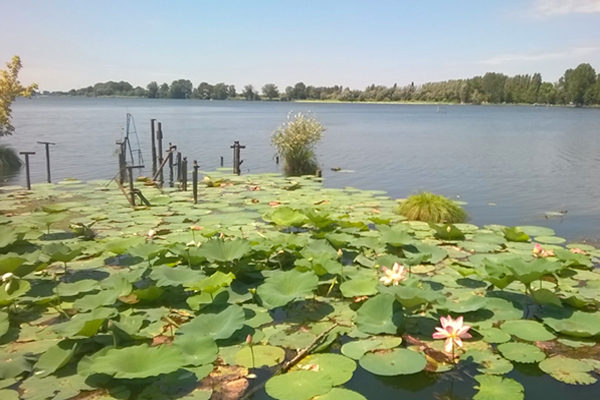 You will pass through the greenery of the Mincio Park and you have the possibility to visit two amazing Italian towns, like Peschiera and Mantua, but also small towns and charming villages where you will find fortifications, historical attractions and marvellous landscape. You can ride from a town to another town and come back by train carrying your bike on it. Around Lake Garda there are vineyards whose grapes will be harvested and pressed to make two red wines: Bardolino and Valpolicella. Bardolino vineyards extend from the southern lake shore to the territories close to it. 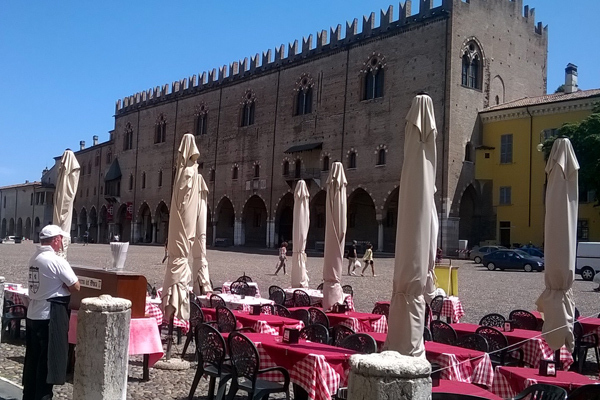 Bardolino – the town, Lazise, Torri del Benaco, Garda, Lazise are only some towns where Bardolino wine is produced. Valpolicella vineyards extend eastwards from the Bardolino’s territory in the northern part of the province of Verona. Another wine to taste is Amarone, a raisin wine. 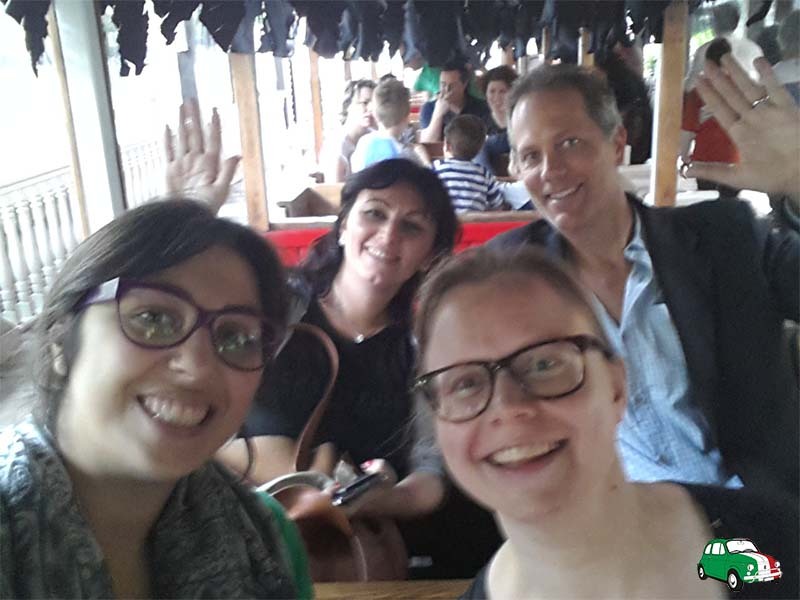 How to get there: from Milan or Venice you can drive along the highway A4 (“Peschiera” exit) or the train – sometimes you will change at Verona Porta Nuova station. Where to sleep: Ali del Frassino in Peschiera del Garda or Crowne Plaza in Verona. What to visit: Peschiera del Garda, Lazise, Torri del Benaco, Garda, Bardolino, Valeggio sul Mincio, Borghetto sul Mincio. What to do: riding a bike on the Mincio cicleway, going to Gardaland, eating the ‘love knots’ and drinking Bardolino and Valpolicella.